So since I have now officially finished my first semester of college, I think I have finally gotten dorm room living down to a science. 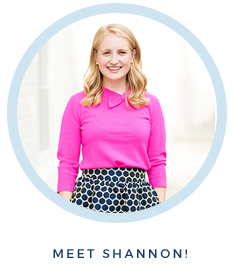 If may be the size of a cardboard box, but that’s no reason you can’t make it feel like home and functional at the same time! 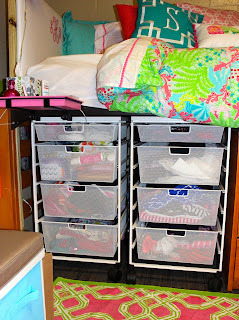 More pictures of my dorm room! 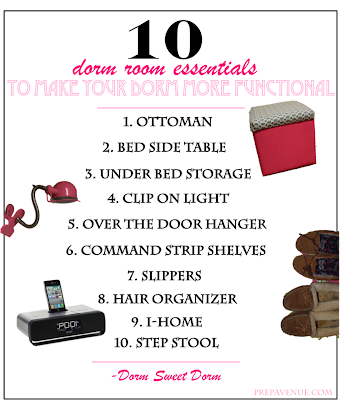 These are a few of the things that I think make my dorm room super functional and are still cute! 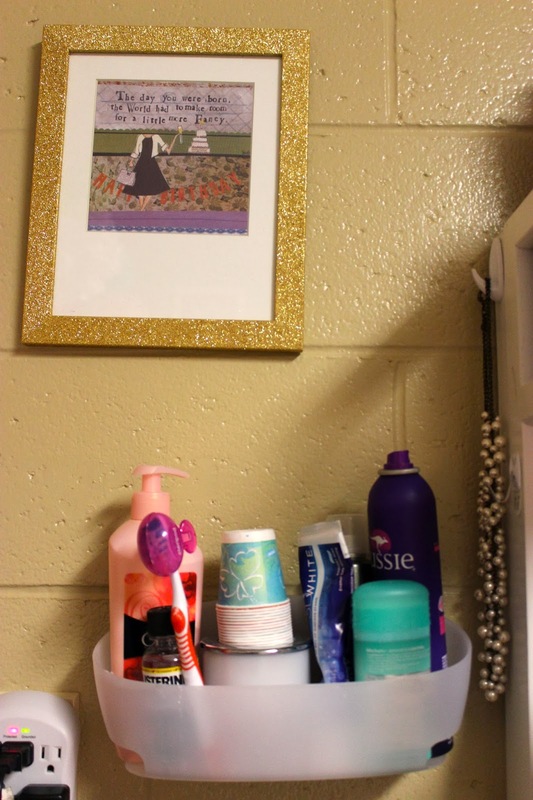 My dorm room basically looks the same as it does in the beginning of the year but in this post I’m going to highlight some of the smaller things you may not have seen! 1. Ottoman- So it’s no secret that I’m short. As you can see my bed is high, well this ottoman has been a LIFESAVER. I honestly wouldn’t be able to get onto bed without it. 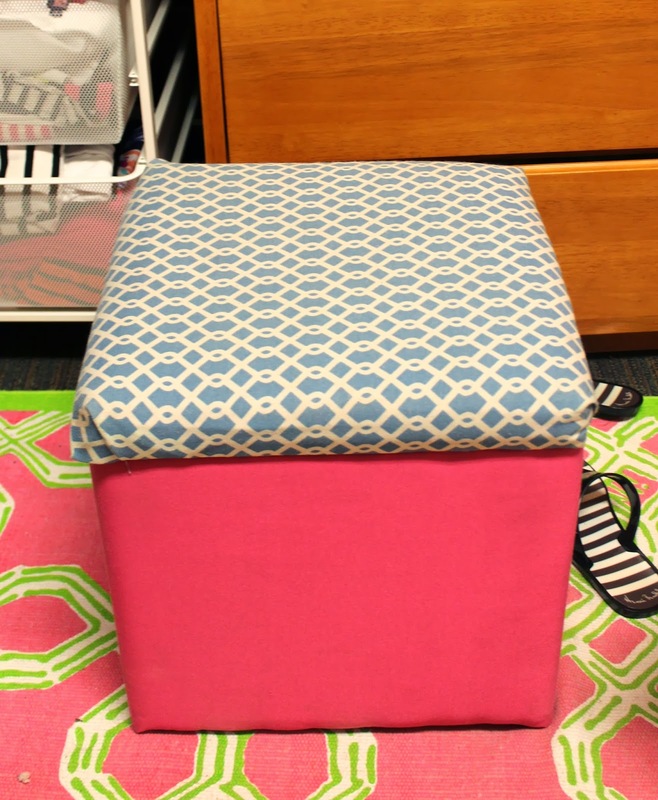 My mom and I bought the ottoman before school started and then I got the idea to re-upholster it from my good friend Dorothy (Prep in your Step) who also goes to Furman! If you’re going to raise your bed, I highly suggest getting an ottoman! Oh and added bonus, they serve as storage! I keep all my nail polish in mine! 2. 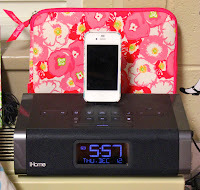 BedSide Table- This just clips right onto the side of your bed! I keep my alarm clock, tissues, and anything else I could need when I’m in bed! I spray painted it pink before I moved in to ensure that it matched with all the rest of my stuff! 3. Container Store Drawers- Since I probably brought 10 times the amount of clothes I need, storage was mandatory. My mom and I tried to look for an alternative to the plastic bins because we knew I would want to be able to move them out from under my bed when I would want to get to the extra space behind them. I have container store drawers in my closet at home and we knew they were sturdy and worked well. So we found these at the container store and I swear by them. BUY THEM. They are worth every cent. 4. Clip On light- Perfect for late nights when you just want to finish your work in bed. And those nights do happen. 5. Over the door hangers- The over the door hangers didn’t work on our doors because we wouldn’t be able to close the door. So we found another use for them! 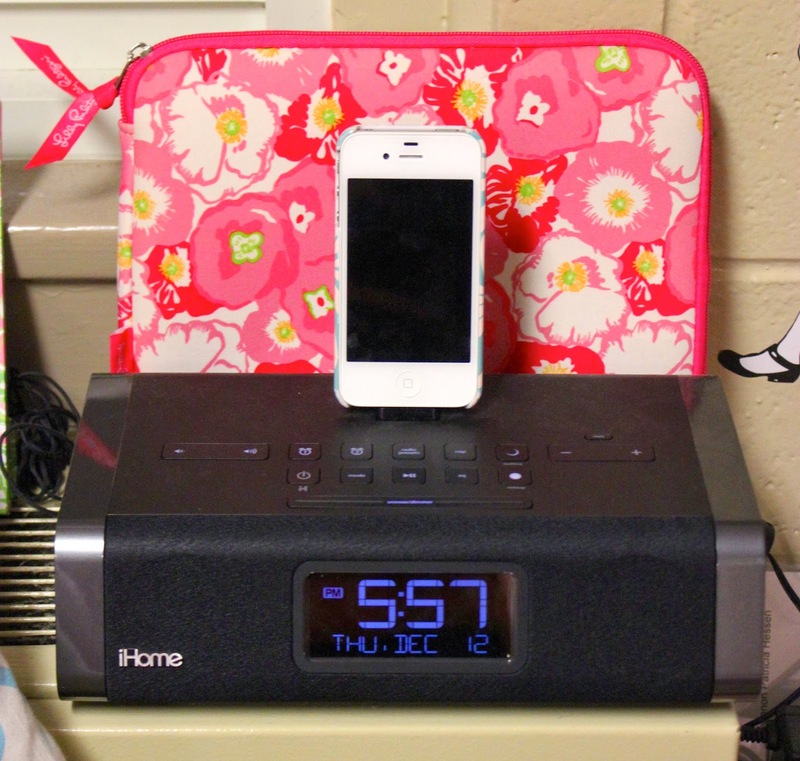 They work perfect at the end of your bed for purses, umbrellas and other odds and ends! 6. 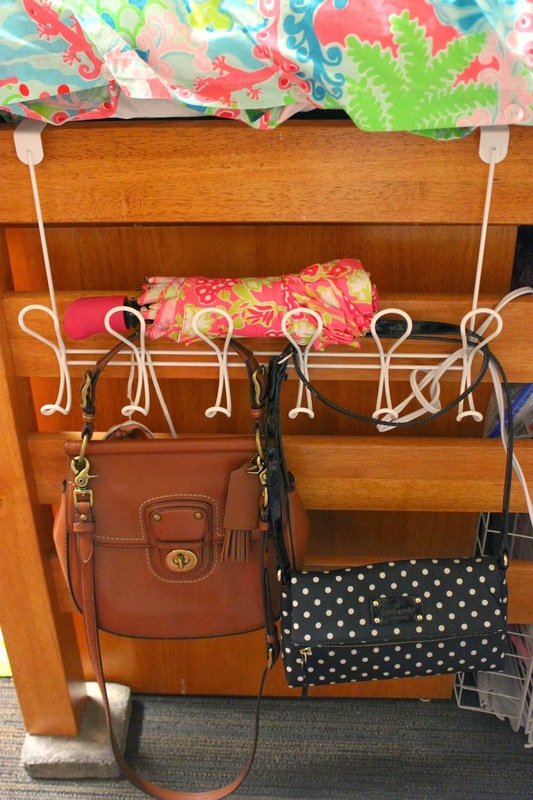 Command strip shelf – I have mine up right by the bathroom door, and keep lotion, my tooth brush, tooth paste, and my face wash! 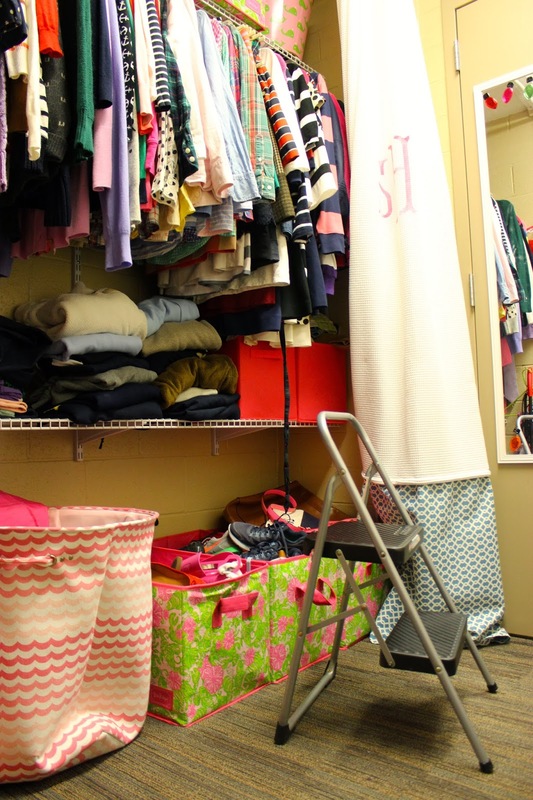 It’s super convenient and makes getting ready for bed that much easier! These shelves can be used for tons of things though! Like above your desk, in your closet, the possibilities are endless! 7. Slippers- Dorm rooms get cold, no matter how high you turn up the heat. When you’re hanging out in your dorm, I guarantee you’re not going to want to keep riding boots on. 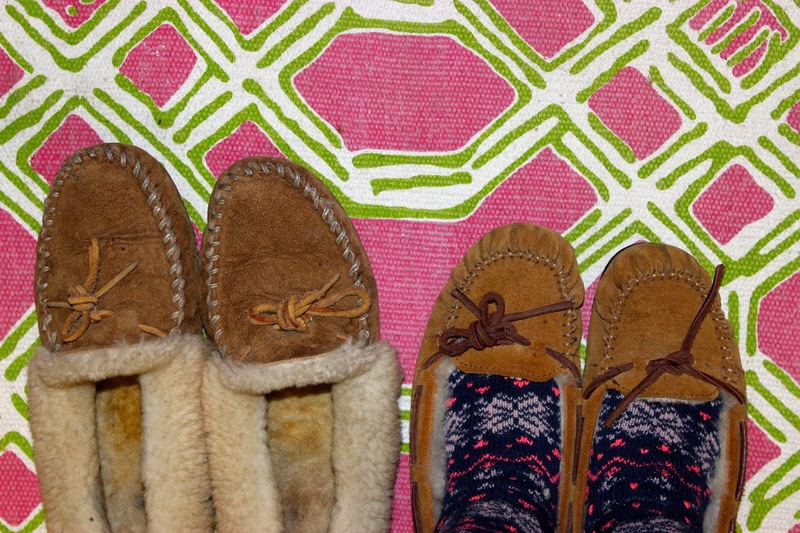 Trust me on this one; you’re going to want slippers. Mine are from 7th grade and are made by Ugg, they still work perfectly! 8. 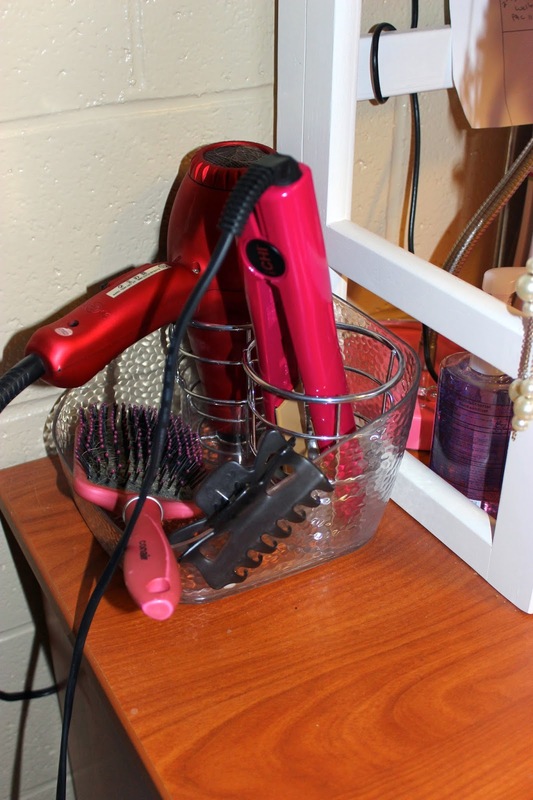 Hair Container- Keeps me organized and ensures that everything has its place. 9. I-HOME- I basically can’t function without music. I put music on right when I wake up in the morning. My poor roommate, luckily she somehow puts up with me (love you E!) even when I play the Hilary Duff Christmas Album at 7 O’clock in the morning. 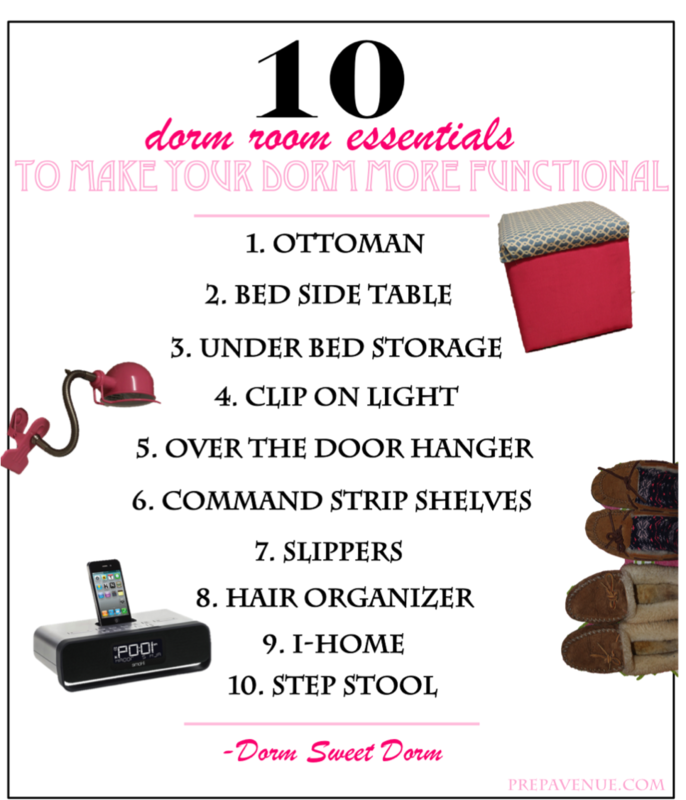 What are your dorm room essentials?? 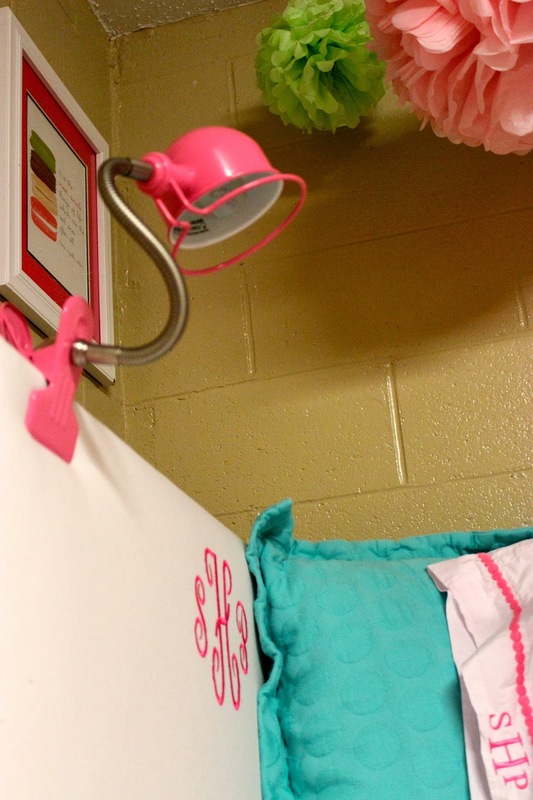 where did you get your monogrammed headboard? Where did you get your comforter? Where did you get your bedside table? 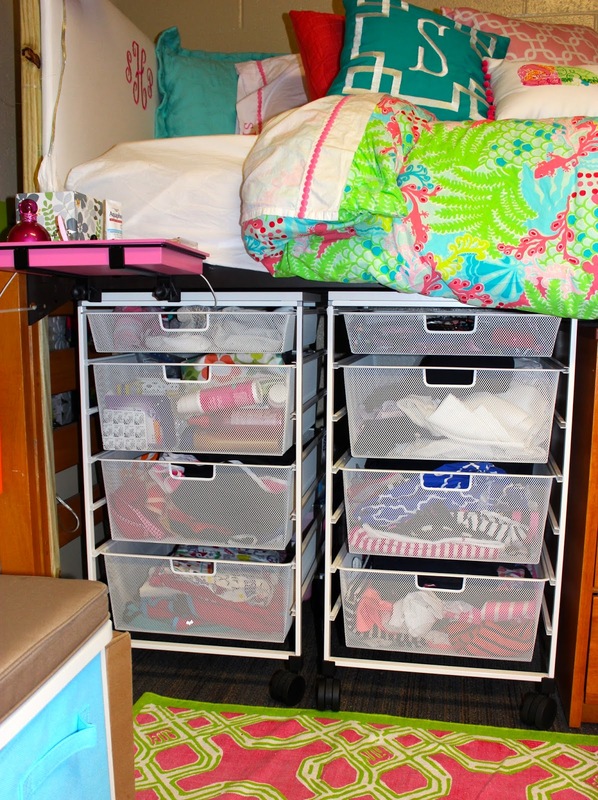 What size are the container store drawers you bought? What size are the drawers under the bed? On the container store website, it gives different options between heights and medium and narrow, but yours look perfect and I wanted the same ones. Of course such kind of the essentials does used to provide you the ability to think and feel better to your own, so one must have to look forward to enjoy such kinds of elements. 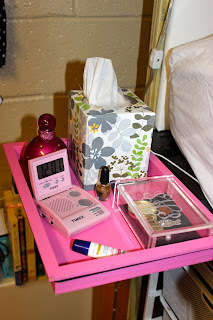 Where did you get the pink bedside table???? Bed Bath and Beyond and then I spray painted it pink!